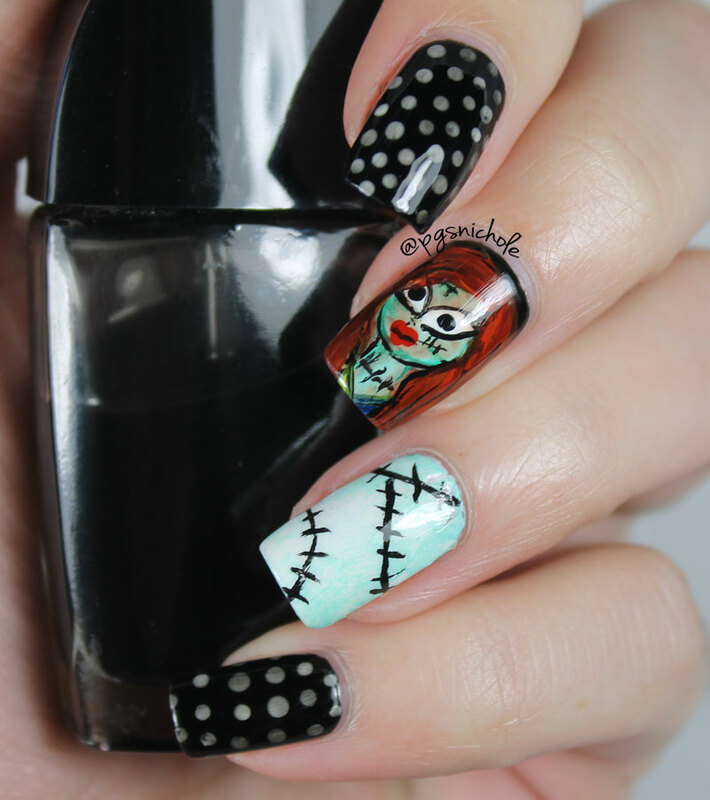 My youngest child decided to be Sally for Halloween, and I spent a significant amount of time thinking about Sally/working on a Sally Costume...so for me to do a Sally-inspired manicure felt natural. Plus, I mean, the movie is a Christmas classic right? 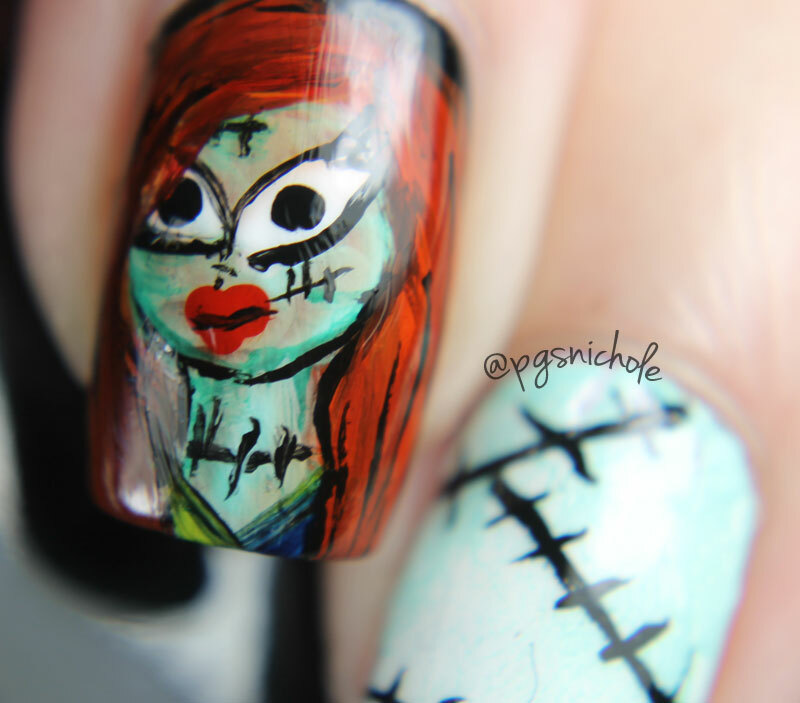 A while back, I fell in love with this manicure from cdbnails. It was the most beautiful, spooky, glorious thing I had ever seen. I knew I wanted to copy it. But I might not be ready for something that detailed and round...circles are hard, man. So my baby-steps version is the simple, smoky dotticure you see here. I am still really thrilled with the final product and will definitely be using this technique again and again. So my final thoughts are, again, I require more practice. I welcome any tips for working with acrylic paint that you can give me! Can you believe I haven't seen this movie? I think it's time! I only just started using acrylic paint for nail art so no tips from me yet. I do like this though! I can't wait for my kids to be a little older so they can enjoy this movie! I have no idea what movie you're talking about but I love the nails! LOL at Tiny Bosses! This rocks. So much awesome here, I loooove your version of the pond mani and Sally looks great! The real stars of this mani are the dots! I adore your dots! 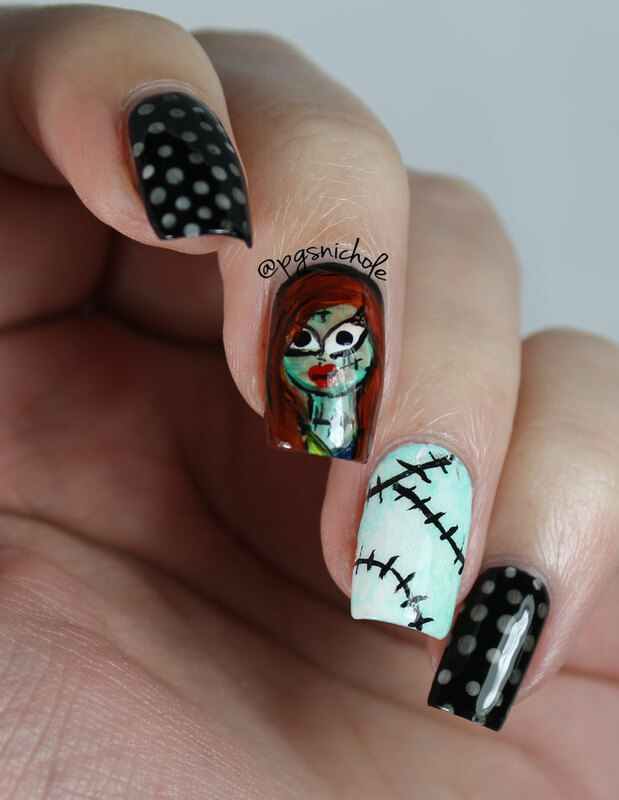 Great way use of a pond mani! My son loves this movie! You did a great job! 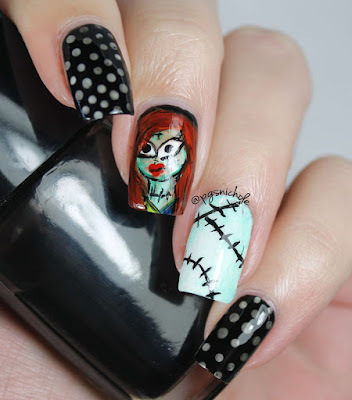 I havent seen the movie but your mani looks great.